The name “2ndQuadrant” comes from The Seven Habits of Highly Effective People by Stephen Covey, specifically Habit 3 “Put First Things First”, p.151. It refers to the classification of an activity based on two factors: Urgent and Important. 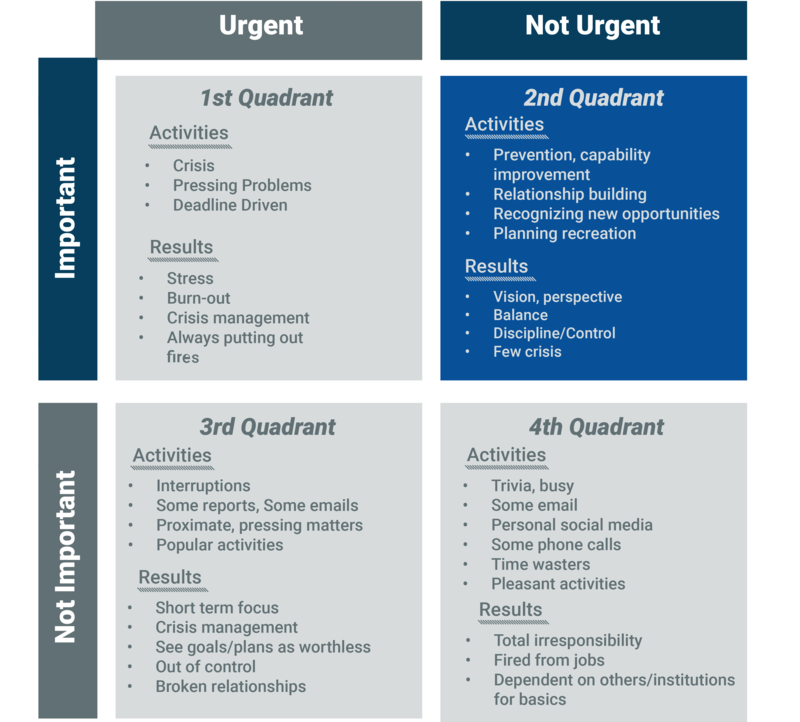 The “second quadrant” promotes planning and outlining of personal goals through effective personal management. It also empowers an individual to decide on what’s important rather than urgent. This makes an individual focus on long-term vision as well as their ability to execute short to medium term goals.